Connecting SEPTA Leadership with Philadelphia Area Youth. The SEPTA Youth Advisory Council (YAC) aims to foster a culture in which public transportation in the Greater Philadelphia Area is the preferred method of transportation among the youth demographic. 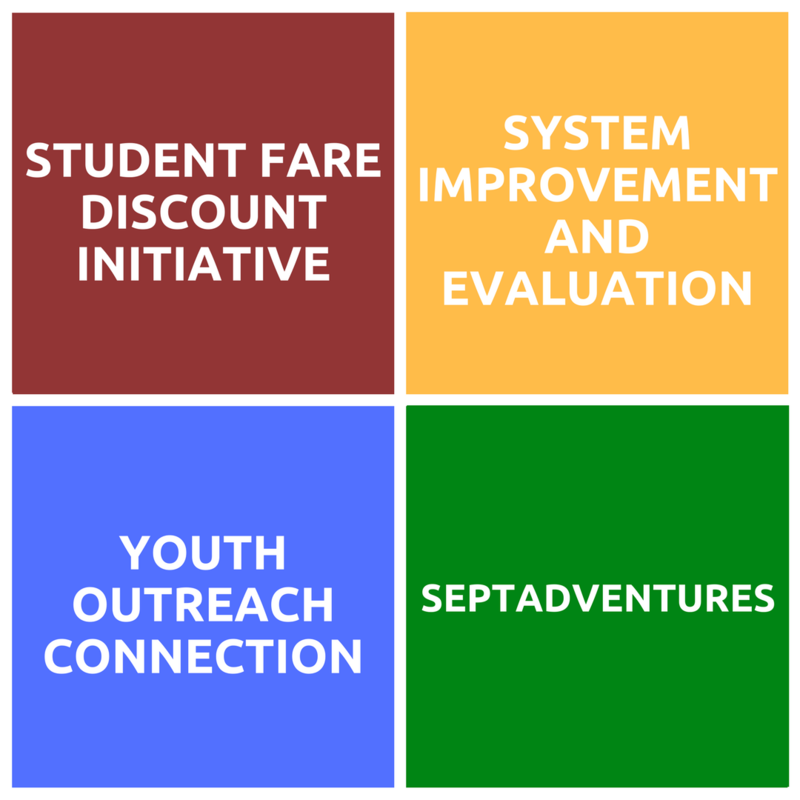 The YAC works to achieve this vision by advocating youth needs to SEPTA Leadership for the purpose of system improvement and by providing information about transit services to the region’s youth. The SEPTA Youth Advisory Council is always working on a number of exciting projects in pursuit of our vision and mission. Check the Our Initatives page for meeting details, reports, publications, and more! Here, you’ll find everything you need to navigate the entire SEPTA system. Plus, it’s the same material we distribute at our outreach events, so you always know where you can find a copy! You can find more info at the Transit Resources pages.